We specialise in matching personal trainers with clients and have built a reputation as being a leader in our field. Our personal training agency has a team of experienced, fully certified personal trainers available for all types of fitness requirements. Whether you are looking for a male or female personal trainer for individual training or group fitness, we’ll provide the ideal candidate. We can find the right personal trainer for home gyms, fitness classes or one-on-one fitness training sessions. Our personal fitness trainers in Singapore offer training programs to assist with weight loss training, muscle building, bodybuilding and general fitness. Our personal trainers have the qualifications and knowledge to tailor a wide range of fitness programs for individual or group requirements. From reducing fat to increasing muscle mass, our trainers offer fitness programs at affordable rates to suit a wide range of personal needs. Our fitness trainers will tailor female weight loss training program targeted for each individual needs. Weight loss training offer benefits such as improving general health * fitness and increases self-esteem and body image. Looking to strip off the extra weight and fats? Our fitness trainers can tailor weight and fat loss personal training program to help you achieve the ripped beach body you always wanted. We have trainers who are skilled at helping competitive sportsmen, models and men of all ages make the transition from scrawny to brawny. 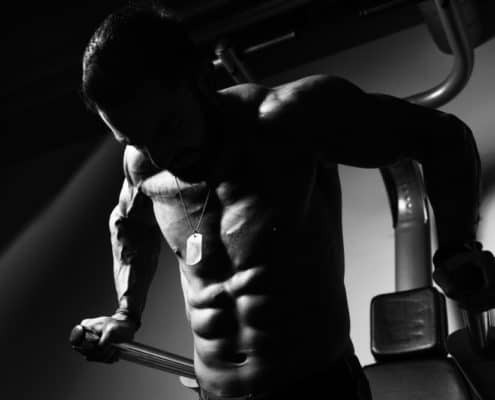 If you want to start your journey in bodybuilding, our trainers can create the perfect muscle and bodybuilding program to deliver the gains you’re after. We understand that every individual have different training objectives and budget. At personal trainer solutions, we match our clients with the best-fit trainer that can help you achieve your fitness goals within your budget. Why Choose us for your Personal Training? 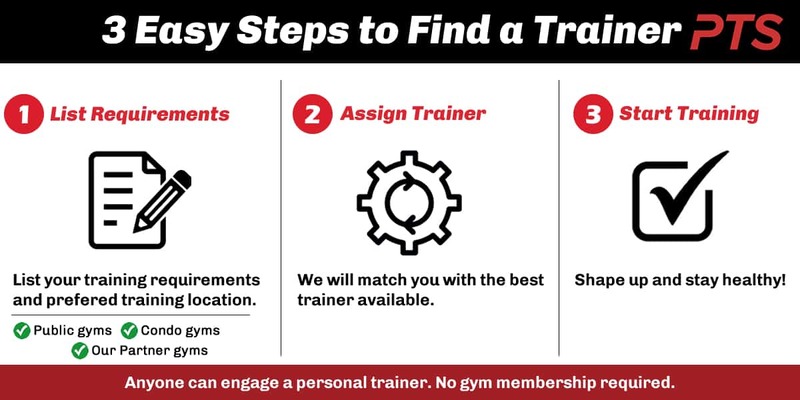 Your Problem: I have a very busy schedule and I find it very hard to fix appointment with the trainers especially with trainers that are highly sought after. Our Solution: In this fast-paced society, we know you are busy and find the challenge to find time to exercise consistently. Our personal trainers are flexible to cater to your schedule and at your convenience. Any time, any where! Your Problem: There are many personal trainers out there, but how do I know that my trainer what is within my training budget? Our Solution: We have a wide range of personal trainers that will fit your desired budget. Because of our wide network, our trainers are experts in many specialized areas like pre and post natal, weight loss program, recovery therapy, body building and more. Most importantly, they are committed to achieve your health goals. Your Problem: I’m not sure what to expect from the training and how each exercise is useful to me. Our Solution: Just like our DNA, we are all uniquely made. As such, exercise programs are catered tailored to your body structure, physical ability, lifestyle and schedule to achieve your personal health goals effectively. Have any questions regarding our personal training services, rates or any other matters? Feel free to chat with our friendly fitness manager now! There are numerous reasons why having a personal trainer is a smart alternative to your health and well-being. As most of us live in a very fast-paced environment it’s often difficult trying to find a good balance between work, family commitments and lifestyle. Unfortunately, while maintaining this balance it’s often our health that suffers. By engaging a personal trainer, you can achieve your fitness and weight loss goals at a time and place that suits your schedule. Whether you prefer to go to a gym for personal training or have individually tailored sessions at home or outdoors, with your own trainer you have the flexibility to choose the environment where you’re comfortable training. If you’re time poor, by having your own trainer you can fit training sessions into your daily routine in your spare time and reach your fitness and weight loss goals faster.